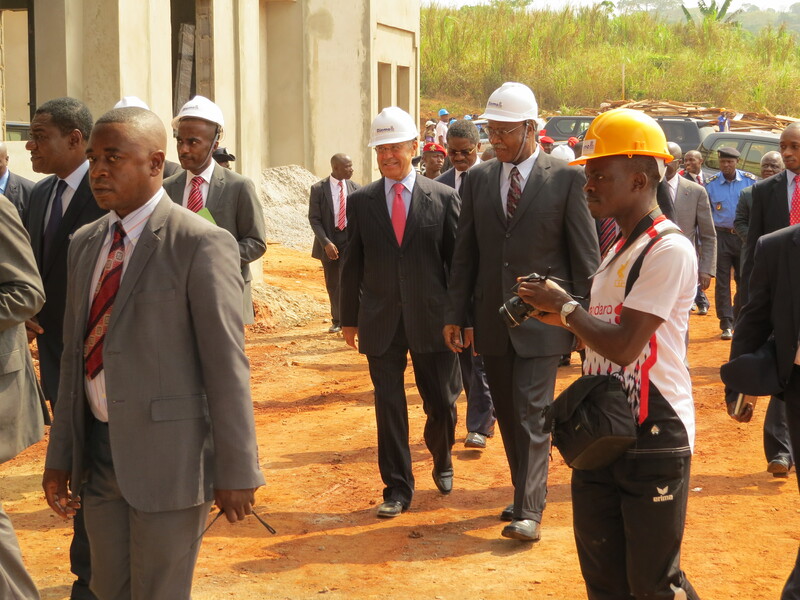 On Tuesday 27 January 2015, His Excellency Dr. Philemon Yang, Prime Minister of the Republic of Cameroon, visited the Magrabi ICO Cameroon Eye Institute (MICEI), located in Oback (15km from Nkolbisson), on the Yaounde-Okola highway. The Prime Minister was accompanied by some 10 Cabinet Ministers and close collaborators. 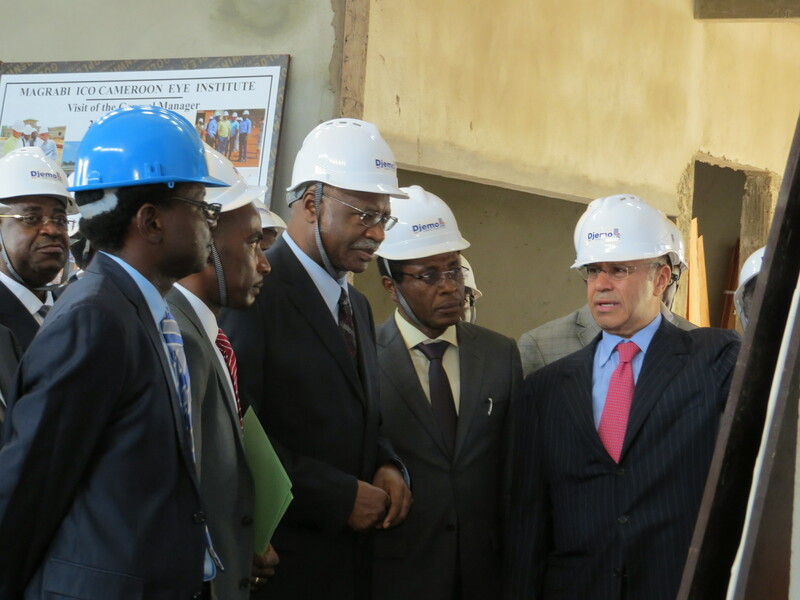 The PM meets some of the key partners of the Magrabi ICO Cameroon Eye Institute. Dr Akef El-Maghraby, promoter of the Magrabi ICO Cameroon Eye Institute and board chairman of the Africa Eye Foundation had travelled all the way from Saudi Arabia to receive the Prime Minister and his entourage. 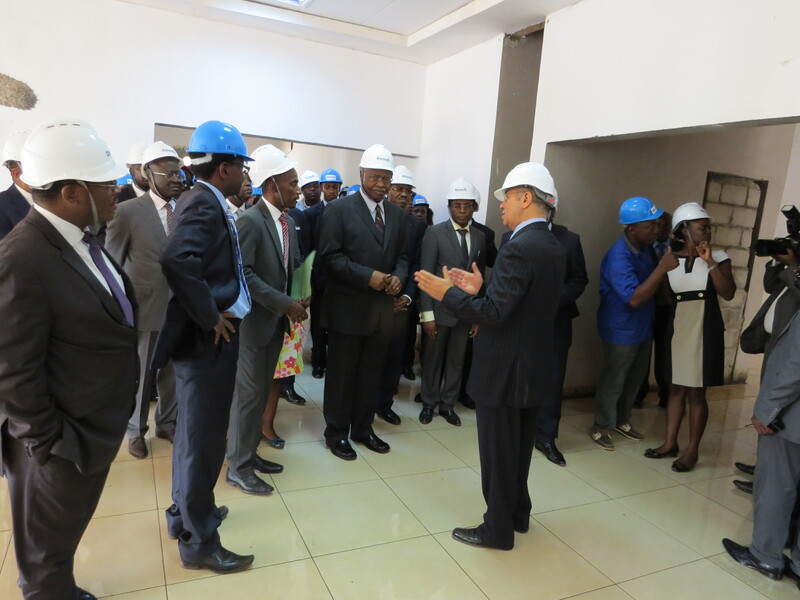 Following a guided tour of the hospital, which took 25 minutes, Dr Akef El Maghraby presented the vision and mission of the Magrabi ICO Cameroon Eye Institute. The main objective of the project is to deliver comprehensive, high-quality and affordable subspecialty eye care to all independent of their ability to pay, and to Conduct certified hands on training courses to train and equip the African eye care experts of tomorrow. The following subspecialties are envisaged: cataract, glaucoma, retina and vitreous surgery, paediatric ophthalmology, cornea, refractive surgery (vision correction with laser), orbit and oculoplastic surgery and neuro-ophthalmology. The project is estimated to cost more than CFA 8 billion (US$ 16 million), of which more than CFA 3billion have already been raised. Half of the money so far raised has been donated by Dr Akef Maghraby. The rest has been raised by key partners such as CBM, ORBIS, Seeing is Believing, Prof Daniel Etya’ale and ICO. 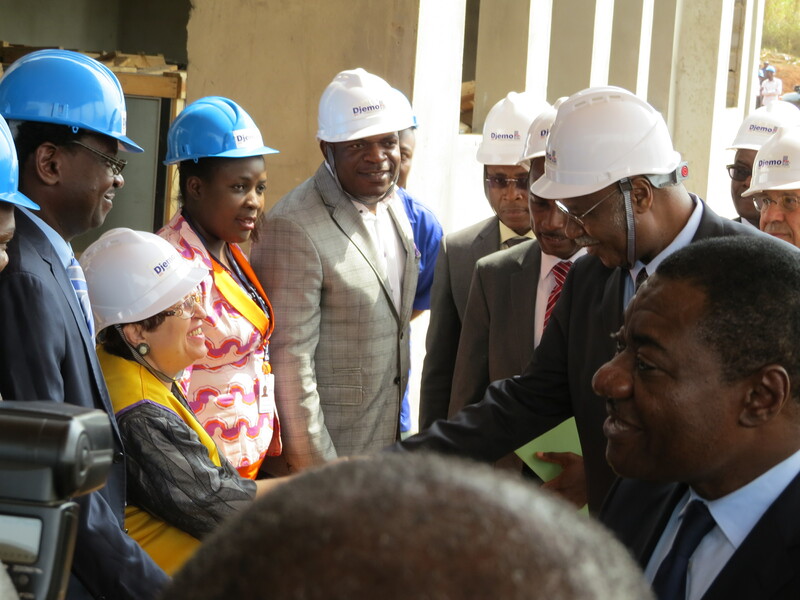 More than CFA one billion has already been invested in Cameroon towards the construction of MICEI, while CFA one billion has equally been spent on biomedical equipment. 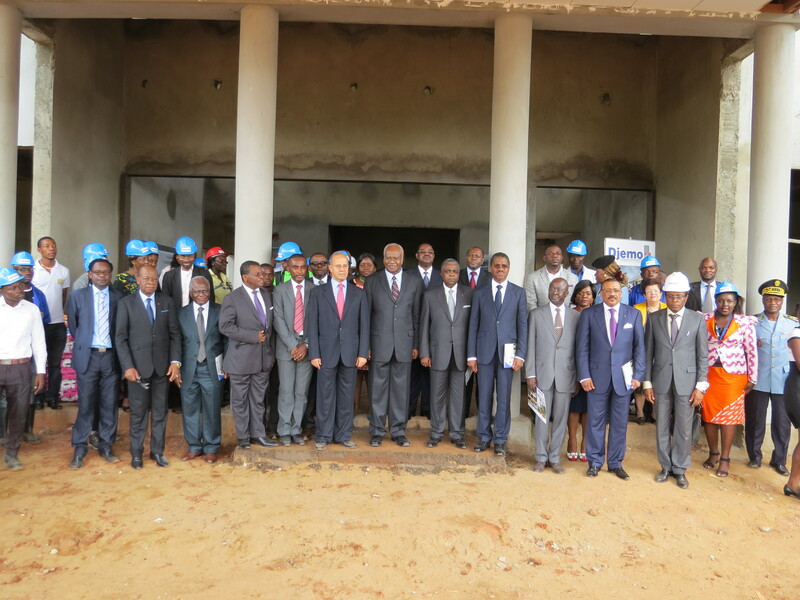 This entry was posted in Africa, Africa Eye Foundation, Eye Clinic, Lasik, Magrabi ICO Cameroon Eye Institute, Orbis, Prime Minister of Cameroon and tagged cataract, CBM, Cornea, Dr Akef El Maghraby, Dr Daniel Etya'ale, Dr Philemon Yang, glaucoma, ICO, Neuro-Ophthalmolgy, Orbis, Orbit, Paediatric Ophthalmology, refractive surgery, Retina and Vitreous Surgery, Seeing is Believing, Subspecialty. Bookmark the permalink. This seem to be a great realisation for Cameroon in particular and Africa at large. What is the employment situation in the days ahead for the institute and specifically for a Clinical Refractionist? Good progress and God will continue to protect the workers on site. It is a significant advancement for eye care to have such magnificent infrastructure and envisaged host of subspecialties within Cameroon.